iPhone X didn't come out early enough to give Apple a sales boost. The world may have passed its peak smartphone moment last year. Huawei and Xiaomi were the only vendors that saw growth. Gartner’s report shows that manufacturers shipped 408 million units in the fourth quarter of 2017, a 5.6 percent decline over. It’s the first drop since the company began tracking smartphone sales in 2004. “Two main factors led to the fall in the fourth quarter of 2017,” said Anshul Gupta, research director at Gartner. “First, upgrades from feature phones to smartphones have slowed down due to a lack of quality “ultra-low-cost” smartphones and users preferring to buy quality feature phones. 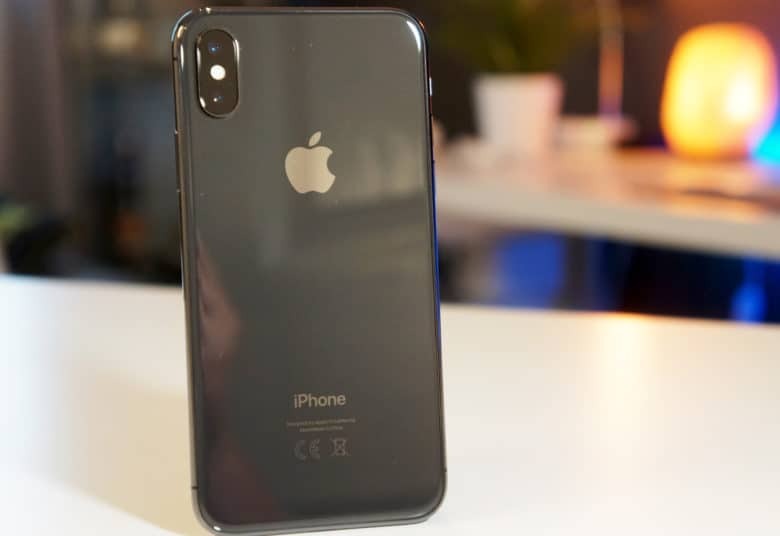 Second, replacement smartphone users are choosing quality models and keeping them longer, lengthening the replacement cycle of smartphones. Samsung held onto its top spot with the most smartphones sold worldwide. Even though Samsung’s shipments dropped 3.6 percent in the fourth quarter of 2017 Apple wasn’t able to make up market share. That’s partly due to the iPhone X’s late launch. The report also found that Android and iOS are dominating the smartphone market like never before. Android and iOS now account for 99.9% of all new devices sold. 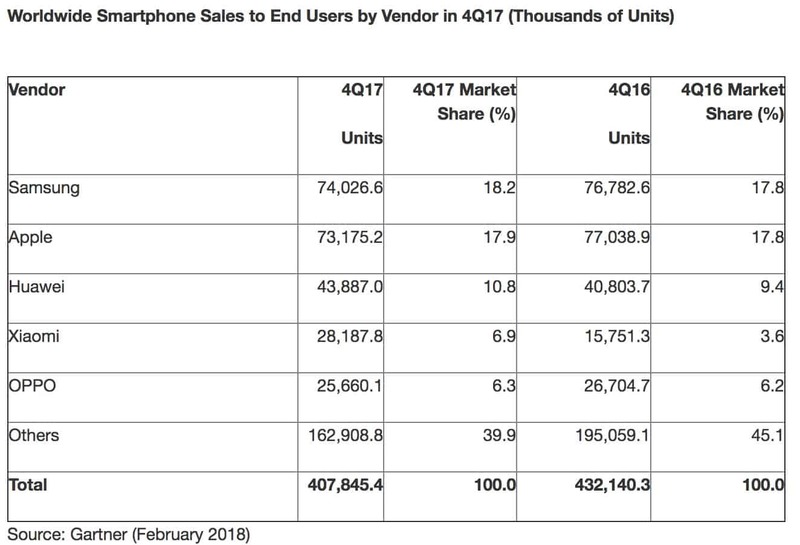 Of the 1.5 billion smartphones sold in 2017, only 1.5 million were Windows, Blackberry or other devices.